"Games that have succeeded in Turkey are all localised -- that's hands down"
Building a national industry and market for video games takes decades of persistent effort -- even when starting from a position of stability. For a country like Turkey, though, the difficulty of that process is magnified; the fortunes of its developers and players at the mercy of global events. "We all know the world is in an invisible turmoil, and Turkey is in turmoil," says Meriç Eryürek, when we meet in the quietest corner of the crowded Gaming Istanbul expo. "There are a lot of jumps, high and low, in the exchange [rate] versus Euros and US Dollars. It affects the games market a lot." As the co-founder of regional marketing specialist Vardiya, Eryürek is attuned to the concerns of both local and international companies regarding Turkey. The company's client list includes Tencent and Ubisoft, but despite the national industry's continued growth, Eryürek believes the country's larger issues -- including its trade relations with the United States -- have created "a total disaster" for those working in games. Fluctuations in the value of the Turkish Lira make measuring the market difficult, he says, but it creates even bigger problems for local developers attempting to do business internationally. "For every country there is a perception, and there is a perception for Turkey as well. We are trying to overcome it"
"If a company runs a campaign localised in Turkish Lira, it will be lower than, let's say, Russia," Eryürek says. "And that means thousands of people will VPN and buy from here." Adjust the Turkish price to bring it into line with Russia, however, and many Turkish gamers will be priced out of the market. According to Eryürek, this situation means that, "global companies marketing in a lot of regions are now sceptical about Turkey." "It is not always easy to get people from other countries to Turkey and the MENA region," he says, referring to both doing business with international publishers, and attracting high-profile guests to attend GIST. "For every country there is a perception, and there is a perception for Turkey as well. We are trying to overcome it. "Ten years ago I would have said the future is bright, but right now the competition is fierce." Without the instability caused by forces far beyond its control, the Turkish games industry might already be a greater force worldwide. The country itself has a population of 82 million, making it larger than any single European country in terms of population. And according to a 2018 market report created for GIST, that population includes 59 million active users of the internet, 51 million users active on social media, and 50 smartphone owners. Most importantly, though, 30 million people in Turkey identify as gamers. "Our strength is the population," Eryürek says. "It's a big country... You have a lot of consumers here. This is maybe not a lot in terms of Asian numbers, but for Europe? Having 30 million gamers -- it's like a country." According to Turkish trade minister Ruhsar Pekcan, the national games industry hit $1 billion in exports in 2018, up from just $500 million in 2016 -- as reported by the Daily Sabah. According to the GIST market report, revenue generated by Turkish players reached $853 million in 2018, up from $810 million the previous year. That figure makes it the 18th most lucrative games market in the world, and it is growing year after year. "Most cultural barriers are not as strong here as they are in the MENA. It is a middle-ground environment"
Crucially, it also puts Turkey ahead of Saudi Arabia, the second most lucrative market in the MENA (Middle East and North Africa) region with $800 million in revenue in 2018. According to Eryürek: "Right now every big player is turning their eyes to the MIddle East, because 20% of the world's population resides here, and some of the countries have high income rates." Turkey is the de facto leader of the MENA in terms of the value of its industry, and also in the profile of its most successful companies: TaleWorlds, the creator of hit PC franchise Mount & Blade; Peak Games, which sold its card game studio to Zynga for $100 million in November 2017; and Gram Games, which capped a period of rapid expansion by being acquired outright by Zynga for $250 million in May 2018. "If you're entering the MENA market commercially, Turkey is your business' entry," Eryürek says. "And it is the same the other way around; if you're in MENA and you have a product to sell to the world, it makes sense to use Turkey. "And culturally, most cultural barriers are not as strong here as they are in the MENA. It is a middle-ground environment." This "middle-ground" position has manifested in several ways. NetMarble is now managing its entire MENA strategy from a Turkish office, Eryürek says, while companies like Epic Games and Riot Games have a larger presence in Turkey than elsewhere in the region. As a linking point -- both geographically and culturally -- with Europe, Turkey has also become a natural starting market for international companies wishing to test products for both regions. "Tencent Games, for example, has seen it," Eryürek says. "It launched [Arena of Valour] for the first time outside China in Turkey. They wanted to see what it will do in Europe, in the Middle East. Turkey is the middle-ground." Arena of Valor is also an ideal product-type for the market. There isn't a significant audience for consoles, Eryürek says, though what does exist is dominated by PlayStation. The most popular games in the country are on PC and mobile, online, competitive, and free-to-play. "The problem is that global companies don't do any marketing here"
"It is a PC and mobile competitive market, and mostly free-to-play," he says. "But free-to-play doesn't mean that Turksih people do not spend money on games." "Language," Eryürek says. "The products should be in Turkish. The games that have succeeded are all localised -- that's hands down. People will still play [if not], but localisation creates a huge leap." Indeed, out of 88 countries included in the EF English Proficiency Index, Turkey is currently at 73 -- one place below Nicaragua, and one above Jordan. Despite this, and despite the country's huge population of gamers, major publishers have been slow to increase their efforts in this crucial area. "For 20 years, companies have just used their global marketing materials, sometimes in the original language," Eryürek says. "It simply doesn't work. Riot got 13 million active accounts in Turkey -- because they did League of Legends in Turkish. Fortnite is doing it in Turkish. PUBG is doing it in Turkish. And they are getting the gamers. "The problem is that global companies don't do any marketing here. And since they don't do any marketing... people just go for the online titles. But once they do a localised marketing effort and a localised price tag, it can be a success." Fortunately, the number of companies investing in proper localisation and building a Turkish audience as a result is growing. 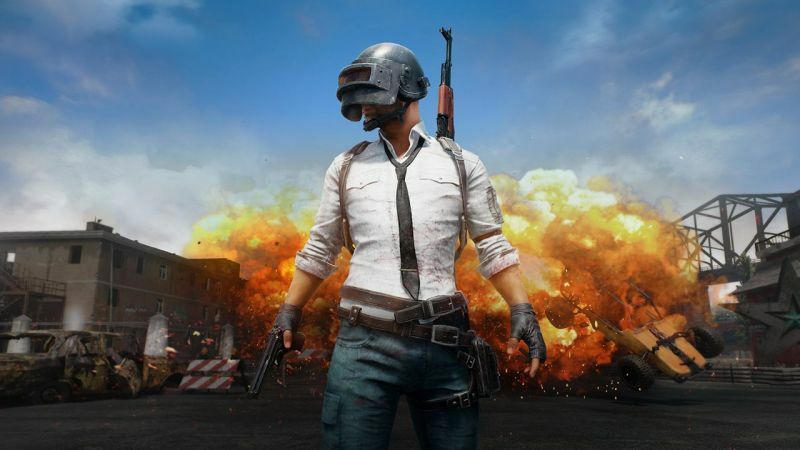 Eryürek lists popular online titles like Black Desert Online, Rainbow Six Siege, and particularly PUBG Mobile as evidence, but he offers one example that suggests Turkey could be a prosperous market even for offline, single-player titles. "For The Witcher 3, CD Projekt just took the hit -- they localised the price," he says. "It got a lot of attention, and sales. It sold a lot of copies, just because they localised the price. "There is an opportunity here, but it has to be done in the ways of Turkey, and the ways of the MENA."